It’s the far left lane on the local highways and is meant to be the one which is the less congested at any given period of time. After all, the name itself denotes the fact that it should only be utilised during times of emergencies, and no, rushing home to catch up on the latest episode of Game Of Thrones does not count as an emergency. Hence, it is was really unsettling to see the recent news on my social media feed, about how the attitude of Malaysian drivers have attributed to an ambulance being caught in a traffic jam during a time of crisis. It was all due to the fact that the emergency lane was clogged up. The Facebook post by user Puvan Barthiban tells of how an accident had occured on KM228 on May 22, around 4.30 pm. Puvan, who is an assistant medical officer at Hospital Besar Tampin was in a second backup ambulance which was called to the scene of the accident. He detailed his experience of having to squeeze through the heavy traffic which was even spilling onto the emergency lane. “The backup ambulance (was) estimated to reach the scene within 20mins BUT it did not.. Why? 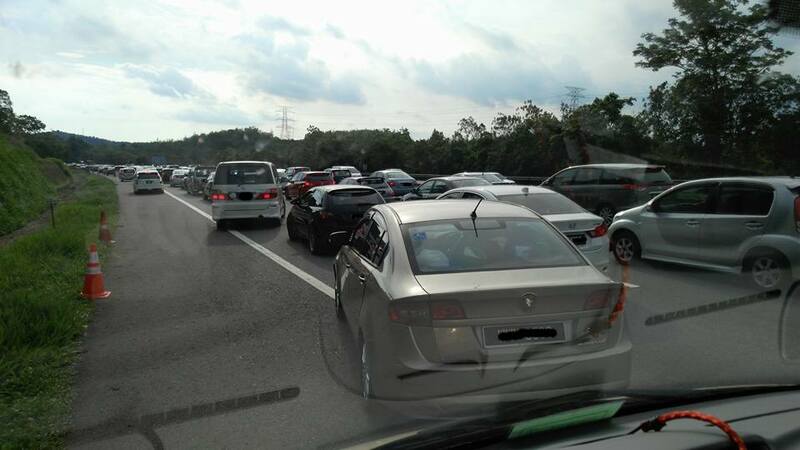 Blame it on our irresponsible Malaysian drivers who hogged the emergency lane. Despite ambulance siren wailing, road users pretended to be deaf and remained static. These irresponsible behavior of road user is not the first time experienced by our emergency medical team but this is the worse scene ever,” said Puvan in his status update. 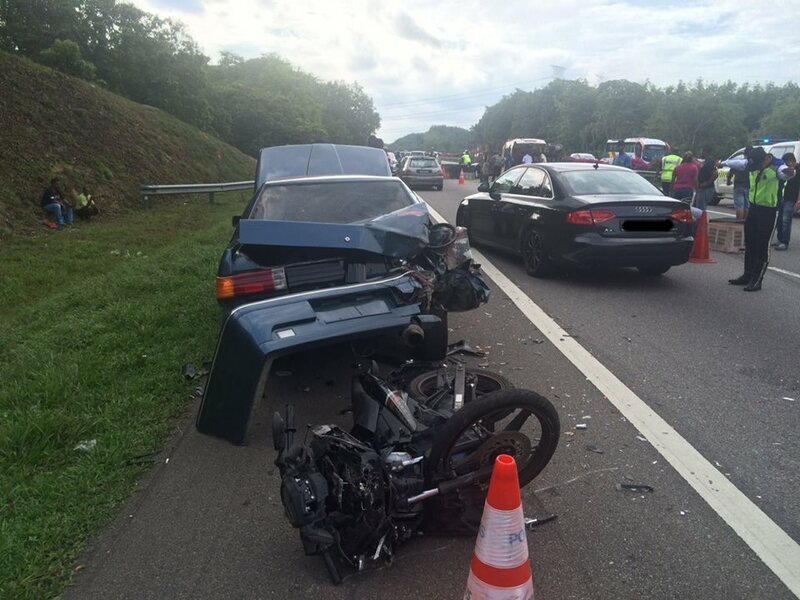 According to The Malaysian Times, the incident occurred when a pair of siblings who were on a motorcycle had crashed into a stalled car on the emergency lane, and this caused them to be flung from impact onto the middle lanes. 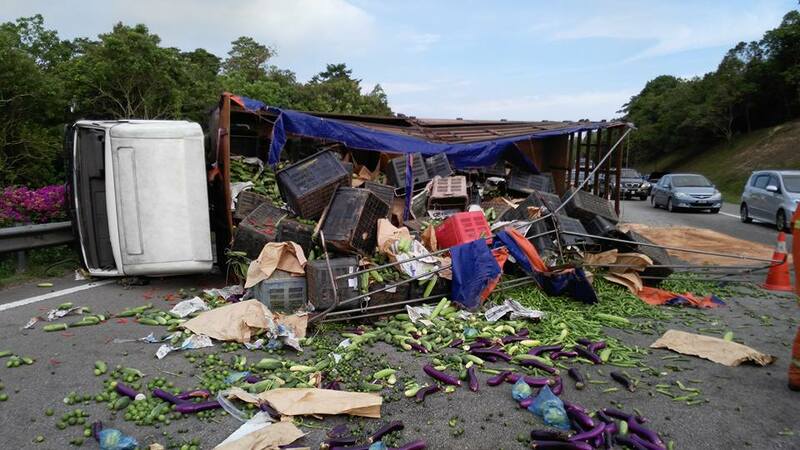 A lorry carrying vegetables had attempted to avoid the injured motorcycle riders and after hitting the brakes, had flipped onto its side from impact. Both lorry driver and motorcyclists were injured from the impact, and an ambulance was called to the scene. 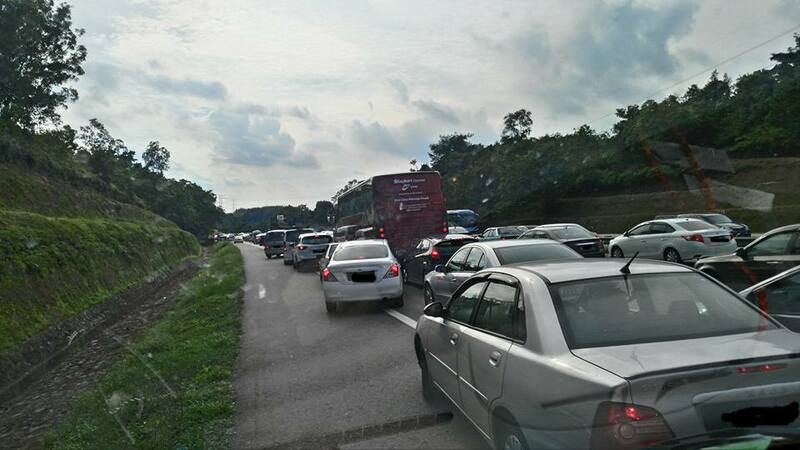 It was upsetting because according to Puvan in his post, the arrival of the backup ambulance was delayed approximately 60 minutes due to congestion in the emergency lane. During critical moments, every second counts, and Puvan, being in the medical line, would know this. “To all the irresponsible road users who hogged the emergency lane today, just imagine if the victims is our family members or relatives, will you do the same? Every second counts to save a life,” he said. The video which accompanied the post was taken from the point of view of the second back-up ambulance and it showed the snail-like speed that it could go at, with the assistance of thoughtful bikers who helped to clear the emergency lane. What the post serves as a reminder is that this is no doubt a daily issue that the ambulance, police, and the fire and rescue team face. As road users, we dictate the speed at which these professionals can reach the victims, and that gives each of us a sense of responsibility to fulfill. Though one vehicle can hardly make a difference, if the video could do anything, it should ultimately change the mindset and attitude of Malaysians. Yes, it might sound extremely tempting to use the lane during times of heavy traffic, but imagine the impact we could have on others, if we choose to refrain from it. We could even help save a life.